It’s an art to write amidst conflict zones in a very humorous way making fun of all situations that might be funny to the reader as the absurdity of the picture comes into the mind but it is of course not funny especially for those who have lived throughout these days in constant agony of the situation that is yet ignored by many westernised countries who suppose that such matters will be cleared on their own without any intervention. I hope this book so humorously written as it could be, has reached many readers thinking more thoroughly on the Israel /Palestinian crisis that is hanging on since many years without any solution in regard to any side, this novel should be taken as once hilarious on one side but also informative and truthful events in the eye of the beholder on the other. It was light and well written, to be read again instead of hidden behind inside the far corner of the library stacked behind, portraying the absurdity of what life itself can be, under occupation which is without doubt stranger than fiction. Recent news of an abrupt end to the Turkish TV romance drama Benim Hala Umudum Var also known as I still have hope lead me to write an article. As the Gold film production has announced the series will have its end at episode 33 and will not be continued thereafter due to a high decrease in TV viewership, other reasons may took a part as well for this final decision. It would interest me why the production company has come to this decision. There are some reasons that come to my mind. One of them to mention is that the Turkish broadcasting channels have changed. The first launch was in July 2013 and the Turkish channel Star TV was broadcasting it, a few weeks later also the Saudi channel MBC for the middle east took the broadcasting rights and aired the series dubbed in Arabic. In its beginning the series was a huge success and was one of the top 10 series rated in the end of November 2013. The child in me still likes the idea of fairy tales and happy endings, even though happiness has its curves and obstacles along the way, that are not always joyful, but it is on oneself to make the best out of each situation i guess but aside from my drifting away, who would actually not like to watch one remake of a Cinderella story with a Turkish twist of romance and drama. I loved the series from the beginning, so much that I even turned on the live channel to watch each weeks episode with Arabic subtitle. This years Christmas holidays brought a drastic change, the Turkish broadcasting channel Star TV canceled the show and FOX TV took over the airing with episode 26. The channel has changed but not the timing, at the beginning. 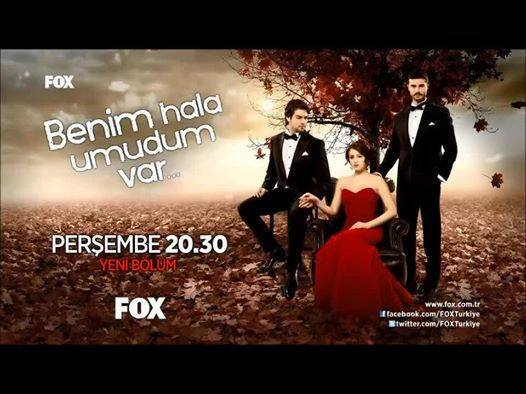 Since not all Turkish households have access to Fox TV viewership decreased, afterwards the date of airing as well as the airing time changed, what was once on Monday on 22:30 was changed to Thursdays on 20;30. Viewership also decreased in the Arab world due to conflicting series showing at the same time, at this point it was a decrease due to favoritism towards another show airing I would assume that this was also the case for Turkish viewers. Another reason might be that the story of the manuscript did not suit with some of the actors so they left the show in a rather shocking and sad way. It could also be that viewers were opposing the story of a triangle love story and put pressure or threats on the production company to change its story script. Another plausible reason is that continuation of the series is not bringing any profit to the production company, taking all these reasons into consideration may account to the case of discontinuing the series long before its true finale end. At this point the claim that the series will have a second season does not have any point anymore. With all this in mind I would wish that the series wouldn’t end just yet at episode 33, and still have a hope that even if there is no change towards the final decision of the Gold film production company towards writing new episodes and prolonging the series, I hope that the series will have an ending that is emotionally powerful in whatever way it may be! For more information about the series Benim Hala Umudum Var – I still have hope look at the video trailer or see the description for more. Muhtesem Yuzyil Season 3 Episode 68 or Episode 5. Sultana Khadija is totally enraged and asks how this is happening and why Nigar has come to this place. Hurrem comes forward and says that she brought her cause when she found that she was in a bad condition she sought to help her out. From this day on she will be my servant and she has something good with me after all the time we had together. Firuze standing on the upper floor asks who this woman is, she receives the answer that this woman is Nigar a former servant and held position of the treasury master. Sultana Khadija tells Hurrem that this woman must leave the premises!! But Hurrem says and why should she leave? Mahidevran says that Hurrem knows the reason all to well, and it was her Mahidevran who kicked her out. Hurrem replies that this woman has received her punishment and it ended. She asks Sunbul Agha if the notebooks have been updated and Nigar is standing again in the place of a servant, he confirms. Gul says that the blame of Nigar is too big and she cannot stay in the palace. But then Hurrem interrupts and says that she is responsible for maintaining the organization in the harem. Furthermore everyone knows that Fatima wanted me dead and tried to kill me, yet she is still on the palace grounds. Mahidevran asks Sultana Khadija if she has anything to say. Sultana Khadija shouts that everyone should leave cause she wants to talk to Hurrem alone. Sultana Khadija: When will you stop this Hurrem? Is it not enough what you have let me live through? Hurrem: I don’t have any problem with you Sultana. You have began that war. Sultana Khadija : know this, in front of you you face a great ancestry. If you fight me.. You fight against a great ancestry. Hurrem : That was not my intention. I just showed you the true face of your dear husband. But instead you took out all your anger on me and forgave your husband for his actions. Sultana Khadija: What is happening between me and Ibrahim is of no one’s concern, and especially not yours. Hurrem: You are right, it’s not my business. Sultana Khadija : So this is why you brought Nigar to this place?The scene is changing. Mahidevran accuses Nigar how she can behave as nothing has happened and returns after she has been thrown out of the castle, she shuts Sunbul down without letting him say anything. Hurrem says that it wasn’t Nigars fault, it was the fault of Ibrahim pasha and since no one gave him bad credit so Nigar as well is innocent. Khadija: so it is you who is deciding upon this? Hurrem:no it isn’t me, we will wait until the Sultan returns and he will decide what is necessary. Khadija : do you believe that I will allow Nigar to reside here. Hurrem : Aren’t you able to look at her so this is why you tried to kill her, or maybe everytime you see this woman, you see the treachery of your husband. You are afraid, that he will return to her as he was happy with her. I dare you to raise your hand upon me. I am not a slave in front of you that you can beat. These days were in the past,I am not a slave, the situation has changed long ago. Don’t forget this. Mahidevran :Sultana are you fine. Afife :Will you allow Nigar to stay in the palace? Khadija :I don’t want anyone to follow me. One of the posts asks Iskandar Shalabi to come out cause Ibrahim Pasha requests his presence and it cannot wait. Iskandar : Ibrahim Pasha (angry). What is happening. Why did you hang my guards. Ibrahim :Are you not aware of what your men did? Iskandar :No I don’t know. Ibrahim :they tried to steal the army treasury. Iskandar :My guards wouldn’t do that. Ibrahim : Do not think for one moment to defend those treacherous bastards, there is a witness. Helmi Pasha has caught them, while they were trying to steal the treasury. And they have taken the punishment they deserve. Iskandar Shalabi as I know you are the advisor to Sultan Silliman and responsible for the treasury, isn’t it you who need to protect it. Is this the way how you take care of the treasury of Sultan Suleiman. Or are you a participating companion to those cheaters. Iskandar :impossible, I have nothing to do with it. How can you accuse me of stealing and being a low of respect. Ibrahim : I didn’t expect this from you, but it is clear that a decrease of your responsibility actions will cause the Sultan grief. Iskandar :so you want to explain this story to him. Ibrahim : I know very well what you are trying to do, you are trying to reduce from my standing and let the Sultan look down to me. Nobody is going between me and the Sultan. Do you understand. Look at them, take it as a lesson because in the end you will find yourself hanging at their location. Helmi Pasha : I regret the loss of your men, they were strong. Iskandar : you cheated on me and took the place next to Ibrahim. Helmi Pasha: I quit the job when I heard that Ibrahim asked Sultan of his presence, and soon he will arrive you should be prepared. Iskandar : I will not accept any advices from a cheater like you. Tell me how this happened. Helmi Pasha: A guard informed me that there were men who were trying to steal the treasury and I wasn’t aware these were your men, because they wore the Persian clothes. Iskandar : I pray to God that this is what happened. Helmi :this fight has to end. The Persian army is preparing to conquer us. Iskandar : let the one who calls himself captain deal with this problem. One day his days are counted and he will find his end. Mustapha is talking to Captain Khedr and is happy of the victories they achieved against Spain and Venice and the Mediterranean Sea. He is glad to see him well and as a trusted person someone can rely on. Captain Khedr : it is great honor serving you and I am pleased to tell you that the people and the army love you, and wherever I go they ask of you and remember your name with a good deed. Mustapha: Allah has given us a task to protect those people and as we act upon their safety we deserve their love of appreciation. I have heard you prepared a battleship to open Tunis. Captain Khedr : we are preparing and will establish a new Islamic Republic over there. Hurrem: it is as if I have expected, Sultana Khadija forgave Ibrahim and they will return together when he returns to the capital. They will continue their life as nothing has happened and it was only you and the newborn who suffered. Nigar : why did you bring me here? Is it to anger Sultana Khadija, to keep me in front of her. Hurrem: we need to settle this together. I did you wrong I know but I was forced. You know my problems with Ibrahim Pasha, I didn’t do as they did and left you to die. You are living now, this is important. I will get revenge just trust in me. Nigar : it is impossible for me to trust you another time. Mustapha says it is time that the world is opened to see the glory of the Islamic empire. That the flag of the osman empire is held up high in all countries, and I will put this idea to the Sultan and I am sure that Ibrahim will agree with me. He sends Captain Khedr off to conquer Tunis and open a new osmanic empire. Afife asks Kawthar to see Sultana Hurrem. Kawthar says she will give notice. Hurrem: everyone will feel as you do, don’t stress yourself with time you will forget. Nigar : my pain cannot be forgotten. Hurrem : Nigar you have to take your revenge. They are interrupted by Kawthar who announces the presence of Afife and Aghas to take Nigar out. Hurrem asks Nigar to leave and allows Afife to enter. Afife asks Hurrem to hand over Nigar or she must use other ways to force her to give out Nigar. Hurrem can barely stay calm. Mahidevran and Khadija went to Mustapha to tell him about Nigars presence, so he will decide upon Nigars fate. Khadija tells him that she asked Afife to bring Nigar but instead Hurrem is waiting outside the door. Mahidevran becomes nervous and wants him to send her away, but he calms her down and says: ‘we will see what she has to contribute maybe we can solve this problem swiftly. Hurrem greets all. Nigar is taken to a quiet room she should reside there until the situation quiets down. Nigar : What has become of you Sunbul Agha now serving as a trustee to Hurrem Sultan. Sunbul: Who shall I serve if not the mother of 4 emirs to the Ottoman empire. Don’t you know the situation here. Durra khanum has passed away and Wiqam has gone, and nobody knows where your standing grounds are. I am forced to do this. What about you, why did you come? When you fled from the palace, why did you return after all the pain and distress that you went through. I was really heart broken. Nigar: nobody can flee from his destiny. Sunbul: Listen carefully, if you want to flee I will do the impossible to help you out and this is a promise. Nobody will find you in the place I know of. A young woman like you will get remarried and build a new family. Nigar: Sunbul I accept my fate and I don’t have dreams any longer. Mustapha : it’s not possible for Nigar to remain in the palace. I will not allow it. Hurrem : I am not going against your orders but first I want to know what is she blamed for. I have asked Afife but she didn’t reply. Khadija : there is no need to explain for you anything, Hurrem! Hurrem :since you are not able to say it out loud I will do so. Ferial has sinned. This is her guilt, let us take her to the court and they will fulfill the law upon her and along the way also Ibrahim Pasha. Khadija : are you crazy, what law do you speak of, this is the prime minister of the Ottoman empire. Mustapha : Sultana Khadija is right there is no place for you to intervene in this problem. Hurrem :So this is how you want to treat this crime? Mahidevran : Don’t put yourself into this since it is none of your business. Hurrem: I will write to the sheikh he will surely find a solution to this. Khadija : you cannot do this!! Hurrem : no one can forbid me, I will write about the sin that Ibrahim Pasha is involved with and I will let everyone know about it. Khadija : are you threatening us, Hurrem?? Hurrem : I prefer to say that I want to find a solution with you, in the end the decision is yours. Either all Istanbul will know about this topic or we wait upon the return of the Sultan. Afife: Take care of your actions Kawthar because your reputation has become worse. Kawthar :Really, if that would be true I would have been punished long ago. Afife : Do you believe that your wrongdoings does not reach me? I know that you threaten the other girls because only in this way can you control them. I advice you to stay respectful. Listen, I will not allow you to play your games around me. Kawthar : stay away from me, I am the right hand of Sultana Hurrem and who touches me will get burned. Hurrem : Kawthar!! Go on and give your excuse to Afife. Unwillingly Kawthar does what she is told. Hurrem : if I hear another time that you talked in an unrespectful manner to Afife, I will be the one to punish you. Do you understand?? Then, go. Mahidevran : don’t give in, Nigar has to be punished! Khadija : didn’t you hear what Hurrem is threatening with. Mahidevran : so we just do as she wishes. Mustapha : you have to calm down mother, this concerns the country and it is a private matter to Khadija. Nobody should know about Nigar, it would be very bad especially towards Ibrahim Pasha. Mahidevran : so what are we going to do? Hurrem :doesn’t the harem has its laws, there is no way they can take her from me as she is my servant when there is no reason. Afife : I believe when they want to they will find a reason. Hurrem : Nigar is standing under my protection now and I will not allow that her fate becomes as the fate of Nadia. Khadija : Hurrem!! Nigar will remain in the castle until Sultan Suleimans return and he will decide. I will allow her stay until the Sultan returns. Hurrem : this is the right decision, Sultana. Khadija : and when the Sultan returns Nigar will leave the palace, and you will leave the palace as well. I will show you the punishment that comes with threatening someone from a dynasty. Afife!! Make sure that Nigar does not cross my ways and I will not see a glimpse of her. Captain Khedr : Saleh, can you tell me of the whereabouts of Julia Gonzaga. Saleh :We have found her to reside in one of the neighboring castles but when we approached, she fled in the last instant. Khedr : It is important to find her as Ibrahims requests it, choose one of your man for this mission and he has any news then to return and inform us. Saleh : we believe that Julia Gonzaga is with the pope of Rome. Khedr : Rome isn’t yet our goal. First we will conquer Tunis, maybe she is there. Prepare your plans for Tunis. ”The soul is a shield, Ibrahim. It is a cloth you wear before it becomes you. The place that you own maybe the only one that you will ever reach in your whole life. You cannot rise higher than that. And due to this leave everything as it is, think of your destiny that is now taking its course step by step without you realizing it. Concentrate only on the near future in front of your eyes and don’t get interrupted by anything, no objects, not the world, nor the sea or anything. Bergam Agha requested an audience with Hurrem so she is accompanied with her servants and Firuze. He says that he received a letter from Rustem Agha which states that Ibrahim has ordered everyone to call him Sultan instead of Pasha. And initiated new orders. Sultan Suleiman was very angry and even sloan the head of the messenger who brought these news. Hurrem : Do you know that biggest enemy to the pasha which will be his downfall, himself. Ibrahim greets Sultan Suleiman on his arrival and welcomes him. Suleiman : These frightening eyes belong to whom. And to whom is the trembling voice. Who is behind this shield hiding. It is impossible for you to become Sultan just by wearing this shield. Hurrem is pleased with Firuze but on the way they are interrupted by Mahidevran who finds it amusing that Hurrem befriends Firuze. She angers Hurrem when saying that anything might happen during war and Allah forbid that something happens to the Sultan than it will Mustapha who will rise to the thrown, Mahidevran will become the Mother’s Sultan and it is the end of Hurrem and her children. Suleiman is angry at Ibrahims actions. He had clear orders to prepare the way to Bagdad and not Tabriz. It was a lucky strike to have conquered Tabriz, thanks to a new ally who supported the Ottoman army with 10000 soldiers. Suleiman asks him How would you stand before me when you didn’t succeed and above all ignored my orders. Ibrahims says that it was once his words that spoke the way to victory is through shortest route. Thanks to Allah victory was ours and conquering Bagdad can be at any time. Suleiman : Be thankful that you opened Tabriz. He turns to Mustache Pasha and asks him about the whereabouts of Tahmasp. Iskanadr Shalabi proposes to go to Bagdad quickly. Winter is approaching. In the spring it will be possible to regain Tabriz. Ibrahim says it’s impossible to leave now. The soldiers are tired and it is difficult to transfer the heavy weapons on the desert road. Iskandar Shalabi wants to take all the needed preparations under his responsibilities. Suleiman approves and decides to move towards Bagdad. Suleiman: It makes no sense to put a new empire in Tabriz within the Persian land, cause even if I install you or my own son. You will become my enemy. He orders everyone except Iskandr out. Ibrahim asks Rustem Agha about Ahmed. Rustem said he died by a horse accident so himself was appointed this position. Iskandr gives the proof to his claims about Ibrahim to the Sultan for calling himself Sultan and bearing his own stamp. Ibrahim said he was doing so to bring calm back to the army. But he doesn’t believe in that. Suleiman accuses him that the one he is complaining about is the prime minister and whatever was his reason he should also take his share of responsibility and dismisses him. Sunbul Agha brings a letter to Hurrem saying it’s from the Sultan. She dismisses everyone to read the letter by herself. As it turns out, the letter wasn’t intended for her. It was for Firuze. Khadija was sending the letter on purpose to Hurrem. She wanted her to feel the same pain that she felt like a dagger in her heart, and this feeling Hurrem deserved to go through. Hurrem goes to see Khadija and Khadija turn for revenge had came towards the same words that Hurrem was once hurtful. And she returned it to Hurrem. Saying the Sultan has found a new love, one who is much younger and more beautiful and there is no one who can do anything about that. Ibrahim requests an audience with the Sultan but his entrance just then is refused. Iskandr informs Ibrahim they are ready to depart for Bagdad and await further orders. Suleiman send a letter to tahmasp and requests his presence as a leader in war not hiding in his throne like a woman. Suleiman send for Ibrahim in the night and tells him that Khadija has forgiven him and will not divorce him cause she thinks of her children but he Suleiman how shall he forgive that Ibrahim was using the name of the Sultan without his knowledge. He will leave him this last chance to rid of his greed and solve this problem on his own else he would pay with his own life. Ibrahim tells Nasukh Effendi that Khadija will not divorce him. He is happy but also sad because he has broken Suleimans heart. Kawthar is threatening Fatmeh to tell her about the girl who is spending the night with the Sultan. But Afife catches her and punishes her. Hurrem warns her to do anything without her permission or else she won’t stay in the palace. Ibrahim sends Iskandr to Suleiman and accuses him of his failures to reach Bagdad strong and healthy as already half of the soldiers have died and every day there is new death. Suleiman says it is upon all advisors to decide his fate. Kawthar in search for Firuze sees her sneaking to Khadija and learns the truths about Firuze. She hides but Khadija suspects her presence and throws her in the dungeon. Nigar visits her promising she will tell the news to tell the news to Hurrem but instead she is planning something different. Hurrem tells her we need to get rid of Khadija, and Kawthar be the one to kill her. Ibrahim tells Helmi Pasha to be present in the Diwan meeting where the fate of Iskandr will be decided and he orders him to vote against Iskandr. Iskandr knows that his end might have come and takes a promise from Rustem to stand instead of him and do anything in his powers to get rid of Ibrahim Pasha. Nigar tells kawthar to kill Sultana Khadija and let it appear as suicide. The Diwan decided against Iskandr and accuse him of treachery. He is sentenced to death by hanging. Ibrahim sees Rustem emotional and tells him let it be a lesson to you that no one can come between me and the Sultan or his fate becomes like Iskandr. Suleiman has a nightmare with Iskandr telling him that he was put to death as an innocent men and this guilt will stay upon his shoulders his whole life because he let them kill an innocent men and deep in his heart he knows it’s the truth. He wakes up and swear that Ibrahim fate will be just like the fate of Iskandr. Rustem hears his words. I have been asked several times for English subtitled videos of this awesome series. translated version of the third season which I am really glad that I did. Onward from Episode 79, I don’t think there is a need for me to continue after episode 78, I am still doing my best to add up new summaries. The above mentioned blog has put up a tremendous blog posts with added text based summary of every conversation of the actors on a blog for most important episode highlights of Hareem Al Sultan 3rd Season, and I really appreciate all their hard work. The old blog post showed how you can find your way through, but it was in arabic, there is no need for this anymore…. Accordingly I have updated this blogpost to show now a direct way to every episode of Magnificent century aka Muhtesem Yuzyil aka Hareem Al Sultan instead. Recently the Vimeo channel with translated episodes of the series has been removed. It is possible to watch the series from episode 61 on youtube. For the episodes of season Season 1 +2.
. If you have trouble viewing the episodes on youtube, I will try to find a different website as soon as possible to make the episodes available for everyone. One of the site visitors gave me an update that in Mexico this series first season is being shown in Spanish dubbed Television. From Monday to Friday you could watch it on Mundofox as well if you understand Spanish. Following TV channels are broadcasting the series in several languages after its successful ending. Muhtesem Yuzyil Season 3 Episode 67 or Episode 4. Hurrem asks the girls name. It is Nadia. She is one of the girls that they found on their way to the old castle and have been brought to Topkapi. Hurrem tells Sunbul that she brought the snake herself to the palace, she is sure that the Sultan wanted to punish her and isn’t involved with any women. Gulsha asks what shall be done, Hurrem just looks at Nadia. Firuze is with Suleiman on the balcony, telling each other poetry of life and love. Hurrem thinks but decides they should do the necessary, Sunbul advises to wait until the Sultan leaves for the battle. Hurrem wants it to be a lesson for the others and leaves. Afife enters the room of Mirimah while she is asleep, she asks the guarding woman why she is alone and where the others are. She tells that Firuze has gone since a while ago and Nadia has been taken by other servants on the demand of Afife to see her. Afife surprised can only suspect the worst. She leaves the room with hurry ordering the girl not to leave Mirimah Sultana alone. Gulsha asks Sunbul what shall be done, but he just says that she should know the answer herself. She wants to take the judgement in her own hands but Sunbul forbids it, he tells her just to stay guard in this place afterwards they will take her to the guards and they know what to do next. Firuze is taking her dinner with Suleiman. It’s visible that Suleiman is totally infatuated with her by asking if she still thinks it was her destiny to be in that place after she saw him in her dreams. She tells him that many dangers lied ahead and she didn’t die as if her heart was showing her the way that lead to him. Suleiman wants to know all about what she has endured. Firuze smiles. Hurrem takes Jihangir from Asmaa, Asmaa cannot calm the emir down, he is under great pain and cries. Hurrem is angry and orders Asmaa to let a doctor come faster. Firuze says that she went with her family to participate in a wedding in a far away place. And while they were on the sea a heavy storm came up and it caused the ship to sink. She held herself on one of the wooden planks and didn’t know what would happen to her. She saw that her family died and she prayed to Allah, so Captain Khedr came in response to her prayers and rescued her from the sea. Suleiman assumes that she was one of the presented girls that came to the palace but she denies it. Firuze says she was not one of the chosen one to go to the palace. They took her to the slave market. There a tradesman bought her. On the road another man came and talked with the tradesman and he bought her, this man was called Sunbul Agha. This is how she came to the palace, so what else could this be called if not destiny. Sunbul is carrying the unconscious Nadia with Gulsha in tow. They are in a dead end. At one side they see Kiraz Agha talking with someone, not noticing Sunbul and Gulsha, on the other way they see Afife advancing. Sunbul sees no other solution than to call them to help and warns Gulsha of saying a word. Kiraz Agha who heard Sunbul shouting runs towards him and asks what has happened. Afife reached them as well and wants to know what they did to the girl. Of course Sunbul pretends his innocence that he found her that way and was taking her to the nursing home. Afife is glad that Nadia is still alive, the girl opens her eyes but is still afraid. Upon Afife questioning her who is responsdible for that, Nadia doesn’t answer, though her eyes are directed towards Sunbul. Jihangir has calmed down after the tincture and Asmaa takes him to sleep. Gulsha informs Hurrem that they failed to take Nadia out of the palace cause Afife intercepted all their moves and placed many guards around the courtyard. Hurrem is angry and sends Gulsha out, she doesn’t wish to see her. Afife reports to Khadija that they have rescued the poor girl in the last minute else she would have been dead. Mahidevran says it was them who send the girl to Hurrem, Afife full of fear asking if they are responsible of sending this girl to her death sentence. Mahidevran says it’s true, they will sacrifice anyone just to protect Firuze. Afife not believing what she hears says that Nadia like Firuze are in the court of the Sultan and that she is the one responsible for their protection. Khadija smiles back at A fife saying that the girl is still alive. Afife is worried and excuses herself that she doesn’t want to be a part in this game. Khadija says no one died. It is enough that Hurrem learned to know that Nadia has spent a night with the Sultan, and everyone will know that she is the one. Moreover there is no need that it is made public that it was actually Firuze who spent the night with the Sultan, that should be unknown. Until the Sultan comes back from battle this shall be the only truth to protect Firuze from Hurrems wrath. Mahidevran congratulates Khadija to her splendid idea, she knows Hurrem well and believes that she will take the first opportunity to harm that poor girl after the Sultan leaves to war. Khadija says that we need to take all necessary precautions just so that Firuze will stay alive until the Sultan returns. Suleiman wakes up on the sound of the harp, it is Firuze who plays. She apologizes for breaking his sleep but he replies that he would want to wake up everyday in this way. That would be also her wish as well. To sleep at his shoulder in the moonlight and wake up with the first sun rays. Suleiman asks her how she learned to play this way, she tells him that her mother taught her. Suleiman says to her that her mother is then a very well educated woman that she taught Firuze poetry and music playing that way. Firuze says No. She tells that her father was working on a farm and her mother in a church and had learned to play music from the preacher there. Her mother played continuously in their home, this is how she learned to play. Poetry reading is for Firuze just the way to look upon love. Khadija comes to Hurrem cause of Jihangir, she heard that he got ill. Hurrem informs her that he didn’t sleep all night long and only in the morning did the pain reduce. Khadija calls him my darling and wants to go to him but Hurrem asks her to please come another time so not disturb his sleep now. Additionally mocking her of her new job which is protecting the slave girl. Khadija tells her “So you know of the girl.” Hurrem says there is nothing staying hidden from her in this palace. Khadija threatens Hurrem to keep away from the girl, anything that happens to her she will be accounted for it. Hurrem assures that it won’t be her to take revenge on a girl like her. Khadija smiling back to Hurrem says that it is a sad situation that the Sultan leaves her for a girl like this one. Hurrem knowing where this might go, says if she implies that the girl is better than Nigar Kafa. Hurrem remains by her belief that the Sultan did this to punish her. “Is this how you soothe your mind towards it” Khadija asks. Khadija says to Hurrem, not to forget about the blue handkerchief the girl received. Hurrem passing it off by saying it’s just a handkerchief there is no meaning attached to it. Khadija coming closer to Hurrem and says “believe me that this day will come soon.” Khadija leaves the room. The Sultan is talking to Afife he has arranged that she has everything needed, because she is and will be responsible for the organization in the harem especially in the time where he will be on the battlefield. She assures him not to be worried and tells him that Jihangir got ill again last night. Scene changes, Mirimah looks in the mirror. Upon Firuze arriving she asks her if she looks beautiful. Firuze answers she looks beautiful all the time. Firuze asks to make a few changes to the outfit, Mirimah asking her where she was yesterday when she asked for her. Firuze tells her she went to bath but as she returned she found Sultana Mirimah asleep and went back to her place. Mirimah says her place will be next to her and she will be sleeping in the adjacent room from this day on. Firuze finished with the rearrangement of the dress, Mirimah likes her new look. Mirimah asks Firuze to accompany her to visit her mother. Mustapha is visiting Helena at her place, he overhears their conversation about him. Rita thinks he is in love with Helena and wants to know if her friend feels the same. Helena is unsure about her feelings as she wasn’t in love before, but says “can it be called love when i feel my heart stops beating upon seeing him and i try to catch breath”. Mustapha appearing from his hiding spot asking her if she has any doubts. Surprised Helena rises from her weaving tool, asking what he is doing here. Of course Mustapha came to see her. Rita volunteeres to stay guard while they communicate with each other. Helena asks him since when he was listening, honestly he tells her that he heard all her words. Shyly she turns and says it wasn’t for him she meant someone else. He wants to know who is the lucky one, to wish to be in his place adding jokingly maybe the tradesman, but Helena turns it down. Due to the tradesman her father forbid her to leave the house since the last incidence when Mustapha broke his arm and the guy came and told everything to her father. Mustapha tells her goodbye he has been called to war and will be absent. She is upset turning away from him, he turns to her and kisses her goodbye telling her to wait for him, he will be returning to her. On the way to the room, Mirimah arrives with Firuze at the harem, servants are carrying gift boxes to the room of the favorites. Mirimah calls for Kiraz Agha and asks him what’s happening. He tells her that the Sultan has ordered to bring gifts to Nadia as she is the favorite to the Sultan meanwhile looking at Firuze by saying this. Mirimah is upset since the girl has been in her service, she knows that her mother will be upset of this circumstance. Firuze has a moment alone with Kiraz Agha she asks but he interrupts her and says that it was the only way to protect her. Suleiman asks Hurrem why she didn’t inform him, she tells him that he seemed to be busy these days and didn’t wanted to disturb. Suleiman looking grimly at her, so her attitude becomes softer. She informs him that the doctors have carried out their investigation by couldn’t find anything so they just gave him the medicine. At that moment Mirimah arrives in tow with Firuze, he is surprised. He wants to know everything that happens with Jihangir. He leaves and asks Afife to follow him. Outside he asks her what Firuze is doing next to Mirimah. Afife tells him, that Firuze was in the service to Mirimah before and though her position was cancelled, Mirimah found to like her very much and they have been found to spend time together. Suleiman says it will be OK then. Asmaa is bringing Jihangir to Hurrem, he begins to cry again. Mirimah is worried that he will be suffering, Hurrem says we need to pray so his nightmare of pain will end. Firuze asks straightforward what’s wrong. She excuses herself, that she wanted to help though. Hurrem asks how she wants to do it. Mirimah says that she was having headache and Firuze with her touch and prayers have let the pain reduce. Hurrem says ” Is that so?” Firuze asks her to give Jihangir to her. Hurrem gives her the boy. She tells her that she had a difficult delivery and to make everything in her power to make him feel better. Firuze says that the emir is not ill but he is carrying a heavy burden, after reciting few verses and massaging his back the emir is calm. Hurrem is intrigued on how Firuze calmed him down, and enquires how she did it. Firuze says that she only prayed and the remaining is on Allah. Hurrem says that Firuze is one of the chosen who are loved by Allah to have such a gift and asks her to use her knowledge for the well-being of the emir. Firuze says that there is an ointment to make the emir rest calmly and asks to prepare it on her own. Hurrem agrees and orders Asmaa to call for the chief doctor to lend Firuze a hand and learn the recipe of the ointment as well. Eyas Pasha informs Suleiman about the latest news about Ibrahim as he changed his course. He will head from Aleppo to Tabriz then directly to the battlefield. Suleiman becomes angry at this, since his orders stated clearly to march for Baghdad and not Tabriz. Eyes Pasha says that it was a chance not to be missed since the Persian army left Tabriz for Baghdad as a messenger has informed them. Now Ibrahim and the army are on their way to Tabriz. Shah Vantali of the neighboring Persian areas present to Ibrahim the keys as a sign of defeat and becoming a part of the Ottoman empire. In the name of the great ruler of the world Sultan Suleiman, Ibrahim accepts the present. Tahmasp says that there is only one great Sultan and he points to himself. Bad news reaches Tahmasp, Vander has fallen to the control of Ibrahim and he is now building warships. After few days they will reach Tabriz. Tahmasp says that Tabriz is where his heart lies and he won’t allow it that it falls to the control to the Ottomans. Mustapha Pasha informs Ibrahim that the soldiers are in bad shape and if they continue on like this it will have disastrous consequences. Ibrahim replies to bring him any soldier who feels that way so he punishes them by his own. Iskandar Shalabi jumps in and says it won’t be an advisable action and it will lead to a much worse condition. Ibrahim says to Iskandar Shalabi not to speak to him unless he has been requested to do so. Ibrahim asks everyone to leave except Nasoukh Effendi. He asks him about the work on the ships and Nasoukh says that Sinan Pasha the engineer will deliver them at the given time frame. Furthermore he informs Ibrahim that the army hasn’t left Tabriz as it was stated before, it was all a lie. The one who delivered them the message just signed the paper with his name and no one knows about a Mahmoud Efendi. Ibrahim becomes angry he turns and his eyes are locked towards Iskandar Shalabi. He says that Tabriz must be conquered at any cost and Iskandar Shalabi dug with his hands his own grave for going to war. Mustapha arrived at the palace grounds and greets his mother and aunt. Disoriented about hearing Ibrahim name Sultana Khadija leaves nervously. Mahidevran calms Mustapha down that it’s the absence that made Sultana Khadija sad, and he shouldn’t be concerning himself about it. Sultan Suleiman awaits his arrival so he should hurry on and greet him. Rustem Agha called Hurrem to meet him in the garden as he has important news. He says that he wanted to give her a present before he leaves to war and he is confident that she will be pleased. Hurrem gets curious about the present and asks what it is. Rustem Agha signals a servant to bring the present forward as he wants Hurrem to see her with her own eyes. Mustapha greets Suleiman and tells him that he is honored to fill as a representative to the throne. Suleiman knows that Mustapha wanted to accompany him, he says that the war will take long and he doesn’t want to leave the throne unprotected and weak and knows he has chosen wisely for Mustapha will fullfill all his duties that are to be undertaken. Mohammed missed Mustapha greatly so he came to greet his brother warmly, Suleiman smiles. Hurrem wants to know if her horse arrived. Rustem Agha says that only the best horses have been chosen for her but the present is not a horse. Hurrem sees a woman approaching her face is behind a veil. “Who is she ?” She asks, Rustem Agha uncovers the face and Hurrem recognizes her as Nigar Kafa. She thought her dead. Rustem says wouldn’t they have come in time she would have been. Rustem said he was trying to rescue her. Hurrem is very pleased about his deed. Hurrem advances towards Nigar and tells her she is alive. Rustem says that Nigar hasn’t been talking for three days due to the traumatic event. Hurrem says thanks be upon Allah that she is still alive. She asks him to take good care of Nigar Kafa until she regained her full health and await further orders. Hurrem greets Mustapha and wishes him well upon his arrival she prepared for him a room since he will stay long but he says there is no need he will reside in the room of Sultan Suleiman. Hurrem must accept this change. Firuze is applying the ointment with Gulsha on the back of Jihangir. Hurrem is very glad that her son feels better and rewards Firuze upon whatever she will ask from her. Firuze wants to be excused to go in the gardens and she is granted the wish whenever she pleases after letting Gulsha know. Firuze takes Jihangir to put him to sleep. But overhears Gulsha and Hurrem talking behind the door. Their plan is to get rid of Nadia as soon as possible and to put it as a warning for anyone else. Hurrem in tow with her children visit Suleiman to wish him well. Mirimah will miss her father very much in this long time that he will be absent and asks what if he doesn’t go. Mohammed says that’s impossible he has to leave to beat the enemy. Bayezid and Selim want to go as well. All kids are surrounding their father. Firuze has gone to Afife and tells her that Hurrem and Gulsha want to get rid of Nadia, though she is innocent. Afife is aware of the danger and promises Firuze to protect her well. Mustapha thinks about the words of Hurrem but Mahidevran puts it off, she explains that Mustapha gained a much more important role, one that hasn’t been appointed to anyone before as a representative in place of the Sultan. She is sure Hurrem is upset about that. Mustapha asks his mother to keep away from her. He leaves, Fatima follows him and wants to spend the night with him but he tells her away, not this night. Out of the corner Gulfidan comes and says that the emir is very tired it was a long way afterall. Fatima wants Gulfidan to forbid any girls for entering the private chambers of Mustapha. Gulfidan says that’s impossible, she has strict orders from Sultana Mahidevran but Fatima can be assured she won’t send a girl twice to the private chamber and with that leaves Fatima standing. We see Firuze caressing the head of Mirimah but the scene changes back to Hurrem. Hurrem wants to know the truth, if Suleiman has any feelings for the woman. He says no. She is happy about his answer, knew that no one would be able to stay between them. Ibrahim is informed that the warships are ready, he orders Nasoukh to go with a troop there. Nasoukh speaks highly of Sinan the architect, wouldn’t it be for him, the ships wouldn’t have been ready even after a month. Ibrahim wants to meet and reward him on his deed. At the Persian tent Mirza tells his brother that they won’t be able to protect Tabriz and they won’t have a chance to stand up to them. Tahmasp asks if he means to leave Tabriz in their hands. Mirza says he doesn’t want this either, but at one time the army of the Ottoman will have to leave, then Tabriz will belong back to them. Above all our father never came to to the point of facing the Ottoman army, and the war was for them. Tahmasp doesn’t want to bulge off and declare his defeat, once Suleiman comes he will see the head of Ibrahim on the battlefield. The Ottoman army talk about their feelings of leaving to war without the Sultan and how it’s possible that Ibrahim shall face it all, while the Sultan is absent. All the while Ibrahim hears their conversation. He advances to them and tells them: ” We won’t leave this place until Tabriz is in our hands, at no measure is it to be allowed that we are called defeated. If someone wants to retreat it is as if retreating from one’s religion. If you fight by my side in Tabriz under the Ottoman empire you will be rewarded by the Ottoman empire. With your efforts and Allah’s blessing we will break the Persian empire of Shah Tahmasp.” All are holding up their swords in unison. Sultana Khadija asks Hurrem why she is sad, is it maybe because she will stay alone. Hurrem replies if that is a threat. Khadija says it’s just a warning, she should take care so no harm will come upon her. Hurrem says she won’t end like Nigar Kafa. Sultan Suleiman says goodbye to his family. Firuze wanted to wish him farewell but Kiraz Agha says it’s impossible. Afterwards Suleiman meets with Afife and asks her to take good care of the order in the harem it lies under her control. He asks her to bring Firuze, cause he wishes to see her. Sultana Khadija repeats her words of warning again to Hurrem as she doesn’t seem to listen, Mahidevran and Gulfam are besides her. Khadija says that Nadia is under her protection, and she won’t allow any ill treatments coming from Hurrem or she will be standing up to her. Hurrem says that she is indeed standing right now in front of her and yesterday she was with the Sultan where he told her that he doesn’t have any feelings for the girl. Mahidevran says that there are many things that Hurrem doesn’t know. Khadija stops her from continuing on. Khadija says if Hurrem is so sure than she can just leave the girl be. So Hurrem tells her but the act towards Nigar Kafa wasn’t forgiving. Khadija says she has paid her price to the fullest. But Hurrem says it wasn’t her alone who was untrustworthy and adds about the guilt of the baby in between. Khadija says the baby was born dead. So Hurrem goes on and says that she will have to explain it to Ibrahim that she killed his son and beloved with her own hands with that she leaves the room. Suleiman came to the favorites room but only finds Nadia sitting there, Afife hurriedly coming she was cleaning the place. Firuze enters the room and they are left alone. He wanted to tell her goodbye and she wishes him a safe return and her heart is with him. She gives him a small gift of their love to protect him from any harm. Hurrem sees Suleiman exiting the corridor of the harem wing and catches a look of the opposite site where Afife stands with Nadia. She is taken aback and has tears in her eyes. Mustapha talks with Rustem Agha that he has been appointed the new principal for the horses which he finds curious since the previous one was a very good rider and he cannot belief that it was an accident as people say that let to his fall from the horse. Rustem says that he was becoming older and his strength less. Suleiman arrives and wishes them goodbye. Mustapha Pasha brings good news to Ibrahim saying that Tabriz became a part of the Ottoman empire. Ibrahim lets the following order to be written down. As the order of Sultan Ibrahim Captain of the army, the writer is perplexed by this but continues on. Anyone who doesn’t follow the orders or make mistakes will undergo harsh penalty. Iskandar Shalabi hears the soldiers reading out the written message from Ibrahim but won’t accept his self appointment to Sultan even though it is written. Ibrahim is no Sultan he shouts to them he is a Pasha, and if he hears else he will kill one by one. There is only one Sultan they follow orders from, and that is Sultan Suleiman. Islander Shalabi goes to Ibrahims tent to get behind the story of it. He explains that he won’t accept this appointed position to him, as Tabriz belongs to Sultan Suleiman. Ibrahim says that he has all the rights to do as he want to protect the Ottoman empire. Though Iskandar Shalabi implies to him that he wants to sit on the throne instead. Sultan Suleiman has arrived to Konya prayed in the mosque and attended a party for him reciting a poem. Yachia Tashli tells Ibrahim that there might be a problem with the name sultan Ibrahim captain of the army as everyone is talking about it. Ibrahim says to let them talk as much as they please afterwards they quiet down. Mustapha Pasha and Ali Beik break in to tell about important changes. Tahmasp is preparing to take back Tabriz and is on the march with 5000 soldiers that causes a danger to the Ottoman empire which there is a need to get rid of. Ibrahim asks Ali Beik to stand up strong and wants good news delivered. Back to Konya Suleiman continues with the poem. Sunbul comes to the kitchen and asks if there is a party going on while he didn’t receive a word. He asks the Shukr if there is an heir on the way. But Shukr says no. Shukr the chef cook gets distracted and Sunbul puts something into a soup without anyone noticing. Then he leaves. Mustapha is in Suleimans room. Fatma visits him and tells him about her sorrow that she thought he didn’t wanted to see her anymore. He tells her not to worry that he is now there by her side. She is glad and tells him that she missed him. Hurrem goes to the hamam (bath) and meets Mahidevran there, would she have known to meet her, she wouldn’t have come. Mahidevran says now Hurrem will burn like she was burnt, but Hurrem replies eye to eye that no one can burn her cause she is the fire herself. Firuze visits Nadia. Firuze calms Nadia down not to be afraid, she never ever wanted that anything happens to her and will tell all the truth tomorrow so no harm will be upon Nadia. Nadia is so glad that Firuze is a selfless person to do this for her. Kiraz Agha enters the room and is angry that Firuze is in the room because she isn’t allowed to enter. He leaves for them Baklava and leaves. He brings Baklava to Afife as well since she loves them. She asks him to keep a good eye on Firuze. Everyone is asleep even the guards while Gulsha and Sunbul have come to Nadia to do the necessary to be rid of her. The next day one of the girl awakes she goes out and sees Nadia hanging on top from the ceiling. News are out, Firuze cannot believe what has happened, she blames herself though she wanted to tell the truth today. Afife advises her to leave this place. Firuze says a prayer to Nadia. Mahidevran enters the private chamber of Mustapha while Fat a is there as well. She tells him that Hurrem has hanged Nadia and is guilty, her son tells her if she has any proof to her accusations. She says there won’t be anyone else than Hurrem doing that. Mustapha says that the accusations are just based on words. He tells her when he accused her of killing him, the Sultan didn’t believe, so why would this situation be any different. Sultana Khadija heard of the incidence and came to Hurrem. All her warnings were without meaning as it seems since Hurrem did as she pleased. Hurrem argues it’s not her fault, the girl hanged herself. Khadija looks at Gulsha that she made all this happen behind the orders of Hurrem but she says no. Khadija orders Afife to send out news to the Sultan, there won’t be a need for a proof it’s enough that she was the lover of the Sultan. And though Nadia might be gone 1000 other will step in her place. Ibrahim gives the word to Ali Beik and speak up to say that he was defeated. Ali Beik feels disturbed that he was forced to leave with the army and couldn’t stand in their way. Ibrahim angry shouts how he dared to move the army on another path though he is the only one who knows the area very well. Ali Beik that he only followed orders, Ibrahim asks him which orders he is talking of. A message came from you to stay on our way so we remained. Ibrahim is speechless. At Wadi Dassin a messenger sends word to Sultan Suleiman that Tabriz has been conquered. Upon the good news the messenger shall be rewarded. Suleiman will meet Ibrahim in Tabriz. The messenger tells him that furthermore it’s his duty to inform him that Ibrahim has appointed himself Sultan after opening Tabriz to the Ottoman empire. Sultan Suleiman becomes outrageous about this accusation towards Ibrahim the principal minister even if the messenger says it’s the truth, he orders to behead him of this betrayal to the Ottoman empire. Ibrahim cannot belief of any chance that Ali Beik has made such a poor mistake though he knows the area, it must be that he is in an agreement with prince Tahmasp. Ibrahim knows that all this is of the doing of Iskandar Shalabi so Ibrahim would appear small in the eyes of the Sultan but his punishment comes at a right time when he sees it fit. Hurrem is informed that her guest has arrived. She won’t let the others wait any longer. Khadija is distracted from the letter of Ibrahim where he tells her that he still loves her. Mahidevran and Gulfam are happy for her. Hurrem comes and greets them but she will take her meal in the garden, she is followed by her servants and at last position by Nigar who turns to look at Khadija. Khadija recognizes her instantly standing up and shouting after her name. The End. Muhtesem Yuzyil Season 3 Episode 66 or Episode 3. Hurrem hearing about the news of the private party for Suleiman goes to Afife and confronts her directly. Why would she keep about it quiet and Hurrem only hears about it accidentally. At the end of the conversation to whatever reason this party is to be held she tells Afife that she won’t allow it and it will not happen. In Aleppo Iskandar Shalabi is upset that Ibrahim is still alive, one of the guards call him and he meets with Ibrahim, who shows him the assassin who was appointed to kill Ibrahim. Ibrahim is sure amongst their midst is a traitor, and he was the one who gave entry to this assassin and told him to kill Ibrahim but was killed himself. They prepared his grave, while Ibrahim is turned to Iskandar Shalabi he tells him that he will find out who is the traitor and this time he will be the one to dig that grave. Nigar went through a difficult childbirth and became unconscious. When she awakes asking for her child they tell her the child was born dead. She cannot believe it and cries hysterically. Hatice, Gulfam and Mahidevran become aware of Nigar’s shouting and go to the room. Nigar begs Hatice to give her the child if dead or alive she wants to hold him and smell its scent afterwards Hatice can kill her. But Hatice says that the child has been buried and heaven has opened its gate for him. Nigar wants to die as well and be united with her child, but Hatice says she will kill her once she finds it suitable, that is not now. Nigar asks Gulfam if the truth, and Gulf am tells her that she heard it. The newborn has paid all the sins that Nigar has done in life. Nigar asks was the newborn a girl? Gulfam nods in approval. Hurrem asks that they finish the room of Mirimah and don’t hesitate of any expenses. Gulsha tells her that Afife is doing all the necessary. Hurrem isn’t sure if the party will be held she asks Gulsha to keep her eyes open she wants to know who will enter and exit the room of the Sultan. While all the time Firuze is in the room. Sunbul enters and signals Gulsha all to leave the room. The door closes behind them and he tells Hurrem that the plan to free Nigar has failed. Suleiman and his son Mohammed are training with the swords. Mohammed sword is thrown away and he says he lost again, Suleiman asks him why. Mohammed says because he was stronger. Suleiman says that it’s not strength alone that wield the sword. When he grows older he may face others stronger than him what would he do then. Mohammed says he would die with honor like any other soldier on the battlefield. Suleiman has no doubt about that but says if to Mohammed if he listens carefully to what Suleiman says, it is not him who will die, it is the enemy. The sword is wielded with the mind and the strength with these characteristics he will even defeat two enemies. Iskandar Shalabi is disturbed he was so sure that he would be rid off Ibrahim but Tashli came to save Ibrahim and the plan failed. One of the guards ask Iskandar Shalabi to let the plans of getting rid of Ibrahim quiet down for a while else they will be caught responsible. Iskandar Shalabi refuses to do so. Ali Beik enters the tent and asks if Iskandar Shalabi had anything to do with that assassin. Iskandar Shalabi says he hasn’t, he would have left the place since long time. Ali Beik tells him that he also hates Ibrahim but not death alone is the way to get rid of Ibrahim since it is known he was the grand vizier to the Ottoman empire and the official representative to the Sultan. Iskandar Shalabis only goal is that Ibrahim fails his mission. This is why he must go directly to Tabriz. Ali Beik says he had done everything to convince him without success, Iskandar Shalabi it’s not with words alone to convince him. As it’s known Ibrahim plans to create a new Ottoman government in non-Arab lands, this information shall reach the Sultan and we would gain a lot. He is sure that Ali Beik will be appointed to its responsibility and Iskandar Shalabi is sure he would be good governor there. This is why it’s so important to convince him to the other way. How shall it be done, Iskandar says we will get information from the most near person to Ibrahim. Ibrahim is sure that Iskandar Shalabi and another is working together to get rid of him. Wouldn’t it have been for Tashli Yehia there would be now condolences in this tent. Mansour Nasoukh ( family name is Mansour ) says maybe it isn’t of Iskandar Shalabi. Nasoukh is afraid that the rivalry between Iskandar Shalabi and Ibrahim will cause a lot of problems. Ibrahim tells him that he doesn’t want to go into battle with people he doesn’t trust. He will go to battle with men like him Nasoukh, that he trusts not the like of Iskandar Shalabi. Mohammed asks his father if Mustapha is coming, Suleiman says yes. He is appointed representative to the Ottoman Empire in the time that he ( Suleiman) is absent. Mohammed is happy and wants to go and tell his brothers of the news so they get joyful as well. Suleiman asks Rustem to come nearer he tells him that Mirimah is one of the nearest people in his life and when he saved her, it was as if he saved the Sultan. So he decided to raise his salary to 150 piece of gold instead of 100. He should tell if he has any problems but there aren’t. Suleiman asks if he married. Rustem says not yet. Suleiman says marriage is of importance he shall choose a woman and have a family. This is also the goal of Rustem of course. Mustapha asks to prepare a room for his mother coming to be the most beautiful. There is a possibility of her coming when he leaves to war and he doesn’t want anything to disturb her in his absence. When he is alone in the room, he grabs the shawl and smells the scent of the owner. He is still thinking of her. Helena and Rita meet up to work. Rita was late because of her fiancée Dimitri. Helena tells her about the incident in the lake, Rita asks when will he return and gets to know next week. But Helena says she won’t go. Rita joking with her tells she wouldn’t let this chance slip of her hand and will see him if Helena doesn’t want, he is much better looking than her fiancee. Both laugh. Mustapha receives a note from the Sultan. He is upset that he won’t go to the battle, he was wishing for this day to come and the Sultan knew of his ambition. Instead he must fill in his representative role to govern the Ottoman Empire from Istanbul in his fathers absence. Afife has been waiting for the Sultan to ask of his permission to give a private party for him this evening if he doesn’t mind. He approves. Sunbul Agha approaching with hesitancy asks Afife if she needs any help, Afife says No, she will call for him once there is need. He meets with Gulsha who also doesn’t know what to do. Firuze is preparing herself in Ibrahim Pashas room. Fatima tells her how Hurrem reached to the Sultans room, she has caught the Sultans attention by dancing alone in front of everybody and he chose her by throwing a blue handkerchief. If she is smart and takes the attention of the Sultan as well, she will be the next to spend the night with the Sultan. Firuze asks Fatima to leave so she can prepare herself. She wears a red dress and asks Fatima to leave her. Sunbul Agha and Gulsha go to Hurrem and tell her that they were forbidden to enter the other path so they couldn’t see any of the girls who entered into Suleimans room. Hurrem is sure that Afife has appointed war on her but it will cost her gravely for this mistake, she asks both her servants to leave her alone to think quietly. And while Firuze is alone, she takes the scissors and cuts the dress to make a new model out of it, so she can acquire the attention of the Sultan with her beauty and mysterious dress. Upon the request of Ibrahim Tashli Yehia has gone to his tent. Ibrahim congratulates him that he is a good poet as well as a good soldier. He stays in his debt of saving his life so he could ask for anything. But Tashli Yehia refuses and says it was his duty. Ibrahim says he won’t forget his deed and wants him next to his side all the time. The party has began and Hurrem is angry. She is on the balcony trying to get to know look upon something but she only hears the music playing. Firuze did well with her costume, under the niqab no one recognizes her and she dances her solo for the Sultan. She receives the blue handkerchief to be the chosen one. Mustapha has gone to the market. Also Helena and her father went to the market but they didn’t see each other just yet. Helena and her father go to Abas shop for garments and carpets. Abas is interested to marry Helena but she doesn’t want to have anything to do with him and excuses herself to her father to wait outside the shop. Mustapha asks Lala his advisor to be the representative to him to take good care in his absence and to inform him continuously about any changes concerning the kingdom of Manisa while he is in Istanbul. Raising his head, Mustapha sees Helena and approaches her. He asks her to come to the place that they first met, but she refuses. He asks again telling her that he has something special that concerns her and want to give it, when asking what it is. He says when she comes she will see. She doesn’t want her father to see her with him, when she sees him. She leaves Ibrahim without answering. Back in Istanbul Hurrem meets with one of the guards who she ordered to free Nigar. She knows that he failed and asks about the well being of Nigar and the newborn. He tells her that they say the newborn was born dead. Hurrem doesn’t believe it’s true. She asks about Nigar and he tells her that she will be getting her punishment today. She orders him to do anything in his powers to free Nigar from Hatices palace but he says it might be too late, all the while Rustem hears the whole conversation. Hurrem tells Gulsha to seek Rustem and ask if there are any news of Iskandar Shalabi. She goes to the stables and asks him, but he tells her that if there are any he will tell it to Sultana Hurrem himself. It’s clear that Gulsha likes Rustem and tries to come near him by offering her assistance in any case needed. He rides away. Nigar who lost her baby girl is desperate and wants to hang herself, but she is caught by the servants and they don’t allow her. A letter is taken from Mahmoud Beik to Ibrahim informing him that Tahmasp has taken his army away from Tabriz and is now heading to the Caspian Sea. That means that Tabriz is left without any protection and this is a chance to gain profit. A letter from Iskandar Shalabi reaches Sultan Suleiman, he writes him that he needs to tell him something urgent of what Ibrahim said. That his aim is to install a new Ottoman government in the Persian land and that he himself will be the leader. Suleiman gets angry. Ali Beik who hates Ibrahim says not to worry at all he knows the region like his own name and he knows a shortcut to there. From where they are stationed right now it will take a week to reach Tabriz. If they are heading instead to Baghdad they might loose the control of Tabriz. Ibrahim asks Mustapha Beik of his opinion, he says Tabriz is an important zone to reach Baghdad. Ibrahim wants to call all advisors together in the night where it shall be decided together of the next step. Gulfam talks to Hatice that Firuze has got the blue handkerchief. She is the second after such a long time to receive it and she is lucky. Hatice says there is something mysterious about this woman that she felt. Finally a woman who will stand in between Hurrem. Gulfam says to what end, Hatice in approving that Firuze needs strong protection. A servant informs Hatice that Nigar was trying for kill herself. Gulf am asks either to punish her ( death by beheading) or to take her out. Mahidevran has waited for Hurrem, Hurrem asks her why she didn’t leave yet or is she just wanting to serve Hatice Sultan. Mahidevran tells her she won’t leave cause Mustapha has been appointed representative and will lead this role in Istanbul until Suleiman comes back from war. Hurrem congratulates her and wants to leave but Mahidevrans words are not at an end. She tells her that Suleiman has given another woman the blue handkerchief and this woman will spent the night with Suleiman. Thus stealing the love and heart from Hurrem. Finally this woman has come. Afife warns Firuze to be more careful she doesn’t want anybody to see the handkerchief else she won’t be able to guarantee her safety. Firuze says why all this fear what would Sultana Hurrem do. Afife says she will do anything. Firuze says that Hurrem will learn about it, so Afife tells her she will know after the heart and mind of Sultan Suleiman is with Firuze afterwards they will find a solution. Now she should go next to Kiraz Agha, he will appoint her to a safe place. Sunbul Agha has brought the girls who were dancing for the Sultan in the night and is questioning them now. One of the girls say there was another girl, they couldn’t see who it is because she has hidden her face. It is her who has taken the blue handkerchief. Hurrem orders Sunbul to find this woman wherever she is. Firuze is taken as a servant to Mirimah. Mirimah tells them that she not like the other sultana. They will have to follow her orders without any objections, the one who does her duty will stay with me and I will reward her also else I will fire you from the the palace grounds. Hurrem begs the Sultan not to punish her in this way not to break her heart another time. The Sultan asks her what she is talking about. She means that he will stay with another woman tonight. She says he does this to punish her, to bring a distance between them cause he is still angry. She tells him that she submits to her mistakes and wants to make it right. Nasoukh Effendi is the opinion to take all possibilities into account. But it would be a mistake to leave the chance out to conquer Tabriz since there are no troops there and it’s left without protection. Ibrahim tells Mustapha Beik to get ready they will move towards Tabriz. Ibrahim has decided and sends them out. Just Nasoukh remains. Ibrahim wishes to end this war and go back to his life, but Nasoukh tells him nothing will be as it was. Ibrahim says it’s destiny. He asks for news of Nigar but there aren’t any. We see Nigar kneeling her head above a stone block she is ready for her final judgement. The swordsman lifts his sword. Mirimah asks her brother if he wants a private room though he is still young. But he conquers that she is young herself. He wants her to speak for him to get also one, she says she cannot do everything but she promises to try. Firuze is standing next to them. Hatice enters the room. Hatice asks Firuze to leave her with the children. Signaling her without anyone noticing that she can make herself ready for the sultan. Hurrem believes Suleiman has come, instead it is Sunbul. He tells Hurrem he send for Gulsha she is now in Ibrahim Pashas room to check which girl will spent the night with Suleiman. Hurrem is still convinced that Suleiman will come next to her and won’t spend the night with another woman but her voice is trembling. Firuze has prepared herself and they are taking her on the golden path to the Sultan. Fatima tells her if she can make the Sultan happy she will not only have his heart but also be a Sultana. Kiraz Agha repeats again the rules she has to follow. Fatima tells her not to listen to his words but says. “Listen to your heart it will guide you on the right way”. Firuze says that it’s as if her heart has stopped beating and she doesn’t hear anything. Gulsha hasn’t seen the woman because she wore a white veil covering her whole body. She tries to go into the other door which leads to the private chambers of the Sultan but it’s locked. She searches for the key. She is called by Afife who caught her in the room without permission for being there and shows her the key that she has been searching for. Firuze went into the room. Suleiman is amazed about her origin and beauty and kisses her passionately. Hurrem is sitting alone crying. Mustapha sees Helena ans thanks her for coming, but she throws it off by not coming for him but to help out the girls with washing. He offers her to go together there but she refuses not to go with a strange person. He asks strange, she tells him that she doesn’t even know his name. He tells her to come with him and she will know she agrees and he lifts her up behind him on the horse and ride forth. They halt for rest and she tells him that she doesn’t know anything of him nor where he came from and he answers that he is in the same position towards her. He tells her his name is Ibrahim and he lives with his family on a small farm. Helena this is nice, she tells him her family had once a farm,too but due to their debts they lost the farm. Now they live in a small house but it’s nice too and they weave looms for carpets she does it as well with the other girls. Helena’s mother argues with Abas Beik that he doesn’t pay well and always late. He tells her that if she finds anyone else to pay a higher price she should sell. She says how can anyone else buy if he is threatened by your kind. He tells her that her daughter is similar in her behaviour just like her mother. Helena tells Mustapha that they are selling good carpets but are forced to sell it under the market value because the tradesman is threatening them. He tells her why they don’t go to the judge. And she tells him that everybody has united themselves against them so how can they make a complaint. He tells her that Crownprince Mustapha will solve all the problems. She says she doesn’t think that the Emir Mustapha will not go into the town like all the other people and just solve their problems. He tells her how does she know maybe he is a person who is doing justice. She just says that is an ugly man without manners. He tells her if he hears her he would kill her. She says she doesn’t care, if he would stand in front of her ( what he actually is but she doesn’t know until now) she would tell him the same. He tells her that everybody else loves him. Helena says that even the girls from the village wait for their turn to get entrance to the palace. He asks her doesn’t she want it. She says she rather dies then appears in the castle because of the demand of someone else. Mustapha tells her that is good since he won’t be needing to fight the Sultan cause of her. She tells him that she is late and needs to go home they go together. He asks her when will he be able to see her again. She says she doesn’t know. He tells her he will be waiting at their place next week. Helena sees the carriage of A as and tells Mustapha to leave at once. But he stands still. The carriage halts and A as approaches them. He asks Helena what she is doing and if the guy next to her is her lover. Angry she tells him that it is none of his business. He grabs her telling her we will talk later about it but she pushes him off. He wants to grab her again but is stopped by Mustapha. Mustapha tells him if he touches her again he will kill him. Abas joking to his man, that he doesn’t believe what he is saying. And they fight all against him. But Mustapha beats them down, he is holding a knife against the neck of Abas but doesn’t kill him after Helena asks of his release. Mustapha wanted to make sure of her well being but she says he has made her fall into a dilemma. Sultan Suleiman appoints officiall Khedr as a Captain of the sea and urges him to begin with his duty. He tells Khedr to prepare for his journey to Tunisia. Khedr says 90 ships will be enough but it shall have all the equipment. Suleiman asks how Ibrahim has welcomed him and he says he welcomed him good and forwards him his greetings and respect to the Sultan. Ali Pasha is asked how much time it takes to reach a point. He says 10 days but to take also the weapons and heavy guns will take a longer time. Mustapha Pasha says it will be a great harm to the army to cross this way. Iskandar Shalabi tells Ibrahim to make a plan for the army to go to Baghdad because the way to Tabriz is full of dangers. Ibrahim says we will reach there on the way of the sea, but Iskandar Shalabi interrupts him that there isn’t enough time for this approach. Ibrahim tells Mustapha Pasha to send for Alaa El-Din the engineer to make three boats within seven days. Without letting anyone comment he sends them out. Suleiman asks Khedr if he knows anything of the opinions of Ibrahim like as to install a Ottoman government in non Arab lands. He says he knows, also it needs a strong hand to open it up. He says it’s in the Sultans possibility to give rise to a government there and choose the right person to govern it, this will guarantee that the region will be in his empire. Suleiman asks Khedr if Ibrahim told him about the person who will govern this place. Khedr says that Ibrahim didn’t say anything because it is upon the decision of the Sultan to choose the right person for this duty. Suleiman asks Khedr of his opinion of giving rise to a government under Ottoman Empire in non Arab lands. Khedr says from the situation, Ibrahim knows what he is doing. It is a smart move but in the same time it’s full of dangers because when putting in charge someone else it might lead to problems. Suleiman asks him what if he puts Ibrahim to fill the duty. Hatice is happy. Hurrem has been defeated and didn’t leave her room for several days. But she is afraid of the silence and what will come. She asks Afife to protect Firuze well. Afife promises to protect Firuze from Hurrem. Gulsha asks one of the girls if she found out which of the girls slept with the Sultan. She knows something but is afraid to tell because the others might kill her. Gulsha says not to be afraid she will protect her. The girl says it’s is one of the servants of Sultana Mirimah. Fatima catches the two whispering together and sends off the other girl while with the help of Kiraz Agha to catch her off before she runs to Hurrem. Firuze offers Mirimah help to style her hair. Fatima and Kiraz Agha brought Gulsha to Mahidevrans room who asks why Gulsha is there. Fatima tells her she has seen Gulsha standing with one of the girls and it’s obvious that she learned who it was that spent the night with Suleiman. Mahidevran says to Gulsha two solutions either we kill you or cut off your tongue. She orders Fatima to see to it. Gulsha begs for her life. Hatice enters and learns of the story, she tells them to let Gulsha leave but if she dares to utter one word it will have a great price, that is punishment. Of course Gulsha goes straight to Hurrem and tells her what she knows. Mirimah likes her new hair model. Firuze tells her she didn’t find any difficulty since Mirimahs hair is soft like silk. Mirimah tells her that she will be her hair stylist from this day on. Sunbul Agha and Gulsha take one of the girls into the washing room. Gulsha asks what will happen. Sunbul says it is up to Sultana Hurrem to decide. The girl is crying to her misfortune that has befallen her. Hurrem has come she asks Gulsha if she is sure about this girl. She says yes as one of the girls said her name. Hurrem asks Gulsha to reveal the face so she can see who it is. It’s not shown yet who, Hurrem just says YOU! Someone approaches Suleiman from behind, he is sitting on the balcony. He welcomes Firuze and tells her she is the soul to his heart. She is the flower in his garden. And she has stamped the heart of Suleiman with the word of joy. Ask for anything and it will be yours. They kiss. End. This is the English Summary from the Turkish TV series Muhtesem Yuzyil. Its Arabic title is Hareem Al Sultan as I watch it with Arabic subtitles. Hatice argues how come Hurrem speaks with her in this insulting way. Hurrem trying to calm down asks her to leave that room and gets a reply that she shall leave instead. Therefore Hurrem says it must be painful for Hatice to get to know that a normal slave girl has risen up to take the room of the sultans mother. But she cannot be blamed as she wasn’t the one who brought Nigar into the palace between Hatice and Ibrahim. Mirimah enjoys her new room. She wants to make few changes that she has a say to and doesn’t want it to be to the wishes of Gulsha. In the mean time Suleiman comes and asks of Mirimahs well being and if she liked her present. Mirimah said she liked it a lot. Upon asking of the whereabouts of Hurrem, Mirimah informs him that she moved to the sultans mother room. Hurrem knows how difficult it must be to live with this. That Ibrahim has lived a big love story with Nigar and doesn’t love Hatice, she shouldn’t fool herself. Her love turned to a stoned heart and it made it even more so when Ibrahim left. And when she lays her eyes upon Nigar she will know that no happiness and joy will fill her heart again. Hatice tells Hurrem: Say what you want, do what you wish but you will never be able to burn me. But I am able to burn you and I burn you that far that people won’t find your ashes afterwards. Hurrem says: All my enemies tried to do so, Suleimans mother, your husband Ibrahim but they failed. What might you do? You make me laugh. Hatice tells to Hurrem that she knows of the plan to get rid of Ibrahim, and surprises her with the news that she decided against a divorce since the Sultan said it is solely her decision, and she won’t change her opinion about this. Furthermore she tells Hurrem not to be too happy once the Sultan knows her whereabouts, he won’t allow her stay in this room. Firuze and two other woman have been sold to a tradesman. Hurrem is upset since Hatice stays now also against her and there will be no divorce. Suleiman has come and wants to know why she is in the sultans mother room. She answers it’s not because of a personal gain but to give her children more freedom and relaxation. Nevertheless Suleiman orders her to leave this room but she says No. Defending herself that as she has no right to involve herself to his private issues, he should also not get concerned of the harems business. Angry Suleiman says don’t override your boundaries Hurrem and know who you are talking with. Hurrem replies if he takes her out of this room, he shall take her out of the harem. With a smirk Suleiman answers I will let you out and leaves the room leaving a terrified Hurrem alone. The next day Hurrem, Sunbul and Nazle are in the carriage on their way to the old castle, where Suleiman, Mohammed and Mirimah are. She sees how Firuze and the other girls are beaten up and asks Sunbul to bring them as her servants. Mansour asks Ibrahim what the sultan has sent him. Ibrahim says he send me a protective shield to protect me from the death. Mansour tells him that the sultan has given him then a sign that he himself has to make the decision to live by wearing the shield or to die while not wearing the shield. Ibrahim summons all to give a speech before going into the battle and will hear all of their problems that they faced in the discussion round. Iskandar Shalabi is meeting the judge of Azerbaijan. He wants that Ibrahim fails in this battle so he will not get any consideration from Sultan Suleiman. Back in Ibrahims tent, Ibrahim says he got information to all their problems and will fill all their needs. One soldier coming forward making an complaint. Ibrahim not happy with the complaint kills the soldier. Hurrem has arrived, she sends a note with Rustem Agha for delivery to Iskandar Shalabi. Suleiman sends the children to ride the horses, he stays with Hurrem behind. He doesn’t want to seek her communication. It’s not the problem of the room he is upset, cause he told her in case she asked he would have built her a castle.But it’s too late for apologies. He made the decision of her leaving the room or she will have to take the consequences of her actions. Suddenly the cries of Mirimah calling her mother, distracting Suleiman and Hurrem. Mirimah has fallen from the horse and has a small wound, she is relaxing in her room. But hears from her brothers that it won’t be long until her mother returns to this room, she gets upset. When the Sultan comes to her, she begins to cry and begs her father that she wants this as her room and asks his allowance to remain there. Sultan Suleiman accepts it for his daughter’s sake. Hurrem goes to her daughter telling her the news and that she as her mother promises to marry Mirimah to the man that she loves, finally she will also remain in the room of the sultans mother. Hatice is angry about Suleimans decision. Ibrahim hears a poem told by one of the soldiers asking from whom it is. The soldiers answer him, it is from Tashli Yehia. The soldier comes forward saying that no one has heard it before, Ibrahim takes it as he is mocked upon and threatens to take his head if he doesn’t like the remaining end of the poem. Hatice becomes short of breath when she sees Hurrem and falls, she is helped by Firuze who reads upon her religious verses, and gets unconscious. Firuze advises Gulfam that Hatice needs to rest. Suleiman learns to know that Tahmasp warriors laid a trap for the Ottoman army, Ibrahim got wounded but it isn’t deep and he is alright. Hatice lets Firuze come to her and asks her where she comes from, she says she comes from a Syriac area. Gulfam is not satisfied with the answer and asks how she came cause until now no woman has reached Istanbul from such places. Firuze says that barbarians have crossed her way and she came with captain Khedr. Hatice wants to know what Firuze said and did with her hand. Lord help us so we can live and the forgiveness of others. She said it wasn’t her hand but the hand of a holy entity (Allah forgive me, PBUH), that healed Hatice. Suleiman is announced. Gulfam tells Firuze to stay in the corner and keep her eyes down. Hurrem approaches one of the guards and asks if he has any information about Nigar. He says Nigar is imprisoned in Hatice’s Palace and they will kill her once the child is born. Upon what will happen to the child, he answers he will go through the same fate. Hurrem asks the guard to do everything in his possibility to free Nigar before she gives birth. She stands aside with him so Gulsha, doesn’t hear about the plan. Suleiman informs Hatice that Ibrahim is alright and she shall rest in the palace today. He asks for water. Gulfam signals to Firuze to serve water. She brings it forward, while keeping her head down. Upon seeing the green emerald ring, she remembers the strange dream she had. She risks to look upon his face and looks down again, starting to get nervous and trembles. She leaves the room her heart beating fast. It is as if her dream has come true. She seems to be happy, though. Hatice tells Suleiman that she has decided not to divorce Ibrahim, she doesn’t want to loose him because it will make her situation worse also she wants her children to grow up around their father. Hurrem arrives at the stables giving Rustem a small gift for having saved Mirimah, away from all ears she asks if her note to Iskandar Shalabi has arrived safely. Rustem says yes. Mustapha is on a hunting trip since two days he is trying to catch the small deer but it fails again,cause the laughs of two girls passing interrupt his concentration. He advances to them and complaints but is only joked at, cause they don’t think the crown prince would walk the same way they do. To them he is just a handsome man. The two girls one of them called Helena are called and they continue their way to to a small river to wash their clothes. It becomes apparent that Mustapha followed the girls, Helena smiles. One of the advisers approaches Mustapha and says that his behaviour of watching women is not suitable for him as the son of the sultan, he should stick to the traditions. Mustapha tells him not to lecture him about traditions, he knows what to do and leaves the river. Suleiman decides that Mustapha will not go to the battle in Gaza, he will stay in Istanbul and be a leader of the Ottoman Empire in his own absence, but he is sure that it will make him not less a warrior. Ms Afife has arrived and Suleiman welcomes her to the palace and to her new home, Afife thanks him graciously and says it’s an honor. Firuze has collected some flowers of the private garden and will dry them. A small conversation starts between her and Fatima, to be able to let her out in the garden as well. Hatice tells Afife that she knows of Hurrems doing to prohibit any other woman of entering Suleiman life, this why she send for Afife, Hatice will not allow the embarrassment of her, Hatice only wants her to do as the traditions say, it will be enough to put an end to Hurrems control over the Sultan. Gulsha begins to quarrel with Fatima. Afife sees them and punishes them thereof by beating on their feet. She warns everyone not to engage to any quarrels and to follow the rules else she will punish them whoever it is. Afterwards she goes to Hurrem to greet her. She welcomes her and tells Afife that the ones who were punished would have taken what they deserved adding not to listen to any of the rumors about her and lets her leave. She tells her maid Nazle that the preparations for solving the problem of Nigar should be taken care of. Since the presence of Afife are the means of Hatice and there shall be appropriate response to it. Captain Khedr ( lit. Barbarossa) is welcomed by Ibrahim and his soldiers. With the approval of Ibrahim he will fill the position as he was told. Khedr brought a painting from Titziano of a noble woman to be one of the most beautiful women in the world additional to one his eyes have ever crossed on. He only saw her once from far. So Ibrahim tells him to kidnap this woman so he can see Giulia Gonzaga, to forward her to the Sultan in place of Hurrem. Hurrem prepares herself to go to Suleiman but when standing at his door she is informed that he is not in the palace but next to Hatice. Suleiman returns at night back to the palace and sees Firuze playing the harp in the music room. Hatice tells Mahidevran that Mustapha will not follow in the war but will have a much bigger position in the role of a Sultan when his father leaves to Gaza. No one should know, not even Hurrem. When Afife comes, Hatice tells her to prepare for a small party with female dancers for the Sultan before he goes to the battle. Hurrem has been waiting for Suleiman in his room, but he tells her off that he has work and signals her to leave. The first time he rejected her and the emotional break is written on her face. Ibrahim sets a plan how to overcome Tahmasp, the goal is Tabriz but it shall be entered after Baghdad has been taken. One of the soldiers say it will be lost time and proposes to attack them directly in Tabriz. Ibrahim holds it risky, he doesn’t hold much knowledge about the place but thinks due to its mountain and hill sides, as well as rivers the soldiers may get lost. Also he asks the soldier how to transport the heavy guns over there. The soldier says that the shortest way may be the better, and there won’t be the need to take all heavy guns with them, a part of them could be left in Aleppo. Ibrahim asks Khedr about his opinion and Khedr says its impossible to cross that way directly as it is dangerous. Ibrahim approves and decides thereof to go towards Baghdad. He wants to install Baghdad as an Ottoman center. The poet Tashli Yehia approaches Iskandar Shalabi and asks him to give him his poetry book cause Ibrahim wants to read it. Iskandar Shalabi questions provocative are you able to take it from me so you can forward it to him. Back in Ibrahim tent it is discussed that once all the problems of Baghdad have been solved, they will install a crown prince to expand the reach of the Ottoman empire. This decision who will take this role is solely by the Sultan. Iskandar Shalabi is sure that would it go after Ibrahim he would want to install himself as a vizier to rule over Baghdad. Mustapha is searching for a place to sit and finds Helena swimming in one of the small lakes in the forest. He sits on the stones and watches until she realizes him there. She argues that she won’t leave this place but in the urgence that he wouldn’t join her, she willingly goes off the water while Mustaphas back and face is turned away. After she got dressed she tells him to go find another place to sit, since this place belongs to her. She leaves him and forgets her shawl. Tashli hears Ibrahim playing the violin, when a threat turns up he takes his sword running forward. First Ibrahim thinks the attack from Tashli is against him, but the thrown knife goes behind him and kills the one of the assassins of Tahmasp side. Therefore Tashli is the saviour of Ibrahim. Nigar fakes that she is in childs labor and comes out of prison, she is helped by one if the female doctors and a guard, that is when she learns her saving is from the side of Hurrem. She must decide to follow them or stay to die. She decides to go with them but is surprised cause now she is in real labor. The other two leave her and flee. The palace guards take Nigar back inside. Ms Afife wanted to make sure of Kirasas choice of new girls to the party. He has chosen well, Hatice reminds not to forget one of her references Firuze to let her in the party. Afife calls upon Firuze and tells her to be prepared for the next day. Gulsha wants to go in the garden to get some air but Hurrem knows all about Gulsha, so she tells her. Gulsha I know how you look at Rustem, but keep away from this man and don’t entangle this man with problems. Sunbul brings bad news to Hurrem as he heard that Ms Afife is preparing for a private party for the Sultan. Hurrem says at last Ms Afife has began to her games with me.